I started out the week feeling a bit under the weather. On Monday, I got home from after-work cocktails, ate a quick dinner, and got right into bed. Still not at my best on Tuesday, I went right home after work and decided to jump on my sickness problem with an good old-fashioned remedy: I poured a glass of red wine and made this soul-warming soup…which I ate in bed under my cozy comforter while watching the Cubs lose another game. I’ll be sure to make a note here if I make a miraculous soup-driven recovery, but either way, mannnn was this soup good. 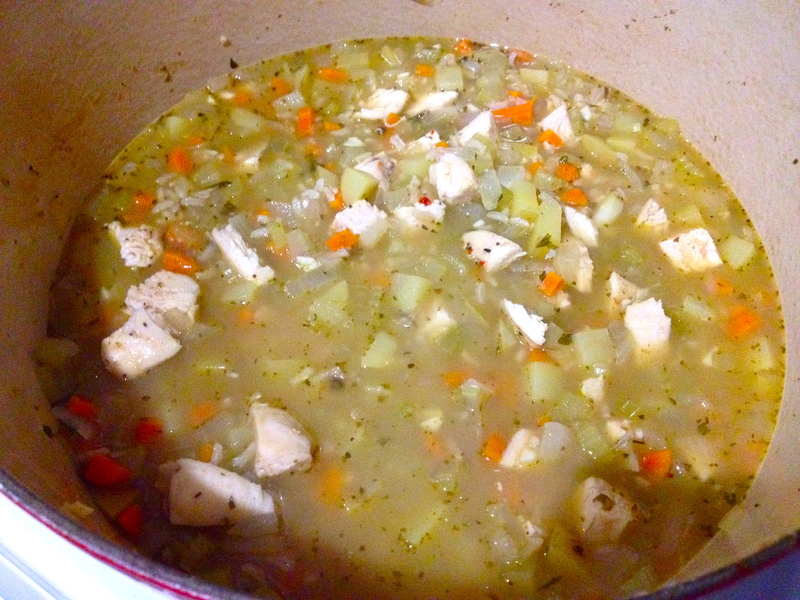 Most soups with this much flavor take at least an hour or two to cook, but this one only takes about 45 minutes total! 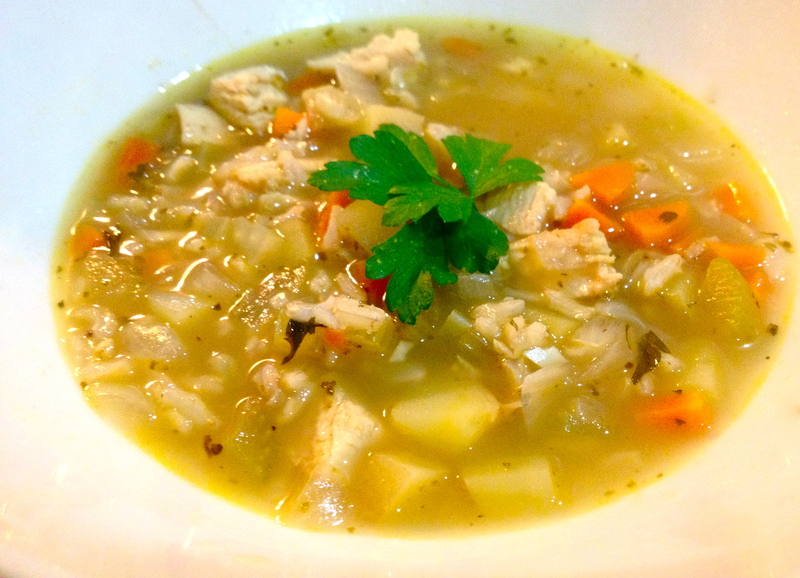 Lightly spiced chicken, rice, and veggies in a warm, comforting broth: just what a sick girl needs. Preheat oven to 350. Season the chicken breast with cumin, ginger, red pepper flakes, coriander, salt, and pepper. Wrap it in foil and bake until just cooked through, about 25 minutes. In a small pot, cook rice according to package directions. We want the rice slightly “al dente,” since it will be going in the soup pot after it’s cooked. 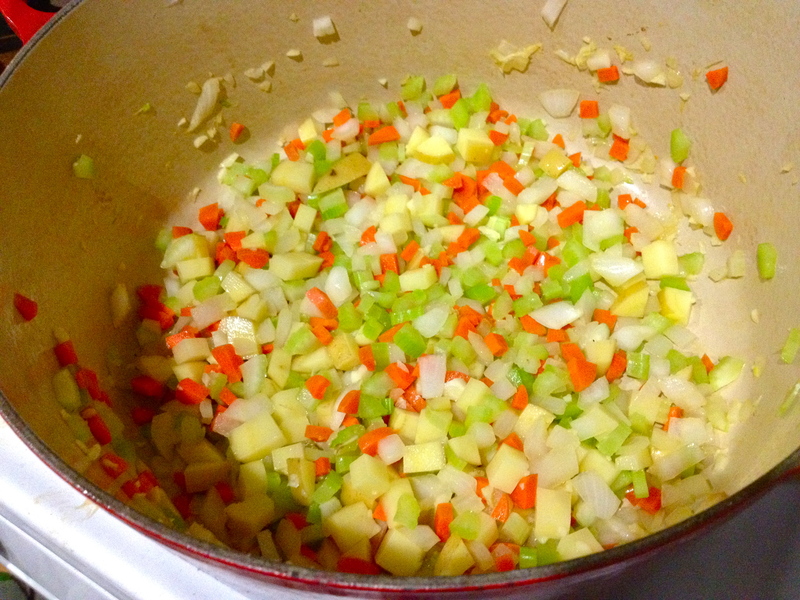 In a Dutch oven or large soup pot, heat butter and add onion, carrot, celery, garlic, and potatoes. Cook about 3 minutes, until starting to soften. 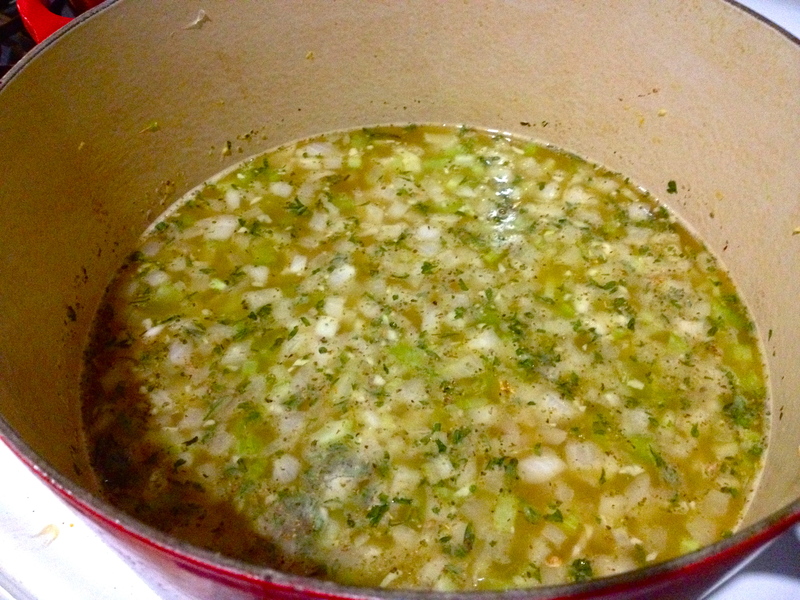 Pour in stock or broth and season with parsley, marjoram, salt, and pepper (be generous with the pepper!). Bring to a boil, then turn down the heat and simmer about 20 minutes. When the chicken is cooked, shred or cut it up into bite size pieces and add it to the pot. Cook an additional 10 minutes or so. Garnish with fresh parsley and prepare to be comfort-fooded. I got a warm feeling in my tummy just looking at the picture! I’m not sure what’s wrong! I would have to take a look at your actual computer to see what’s going on – you might have an out-of-date version of your internet browser.